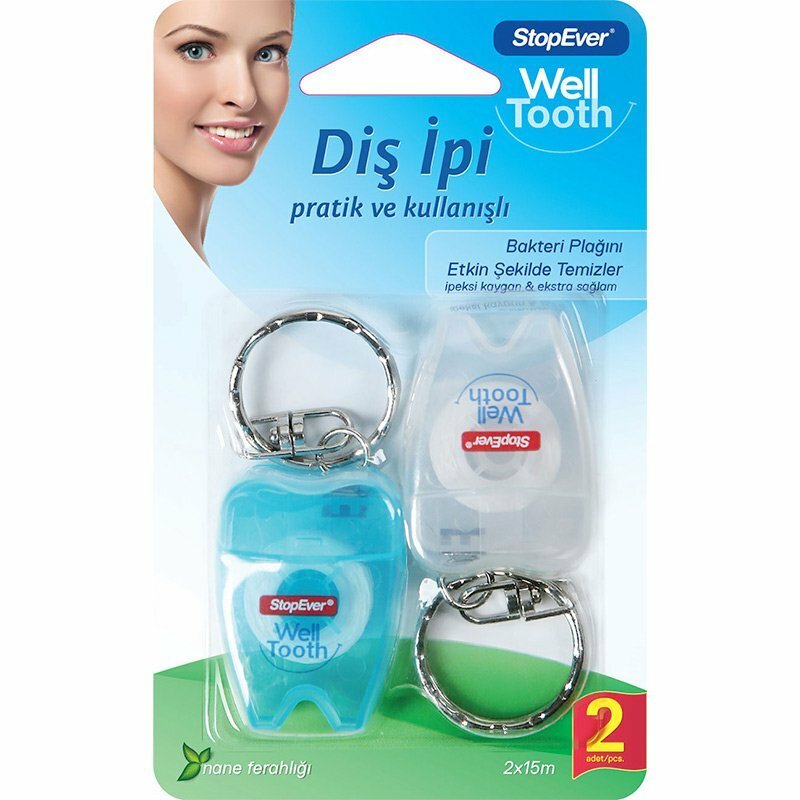 Easy to carry Dental Floss, 2×15 meters. Effectively cleans the plaque caused by bacteria. 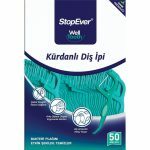 The slippery and extra-strong floss texture cleansing the tooth plaque reduces the risk of bacteria and caries. Ergonomic design for easy gripping and handling. 40 cm. Detach about 40 cm. of dental floss. Clean the food debris between the teeth and under the gum by gently sliding the dental floss up and down between the teeth. After use, rinse the mouth cavity with clean water as needed. Consult your dentist if the first use. Use of dental floss may bleed your gums. If bleeding continues or extra conditions would occur, swallowing the toothpick, etc., contact your dentist at earliest. Should be administered to children under adult supervision. Keep the product away from child. Package contents: Includes 2 units of 15 m. long dental floss with keychain.